PennsylvAsia: English-dubbed Dragon Ball Super: Broly (ドラゴンボール超ブロリー) continues n Pittsburgh, through January 30. English-dubbed Dragon Ball Super: Broly (ドラゴンボール超ブロリー) continues n Pittsburgh, through January 30. 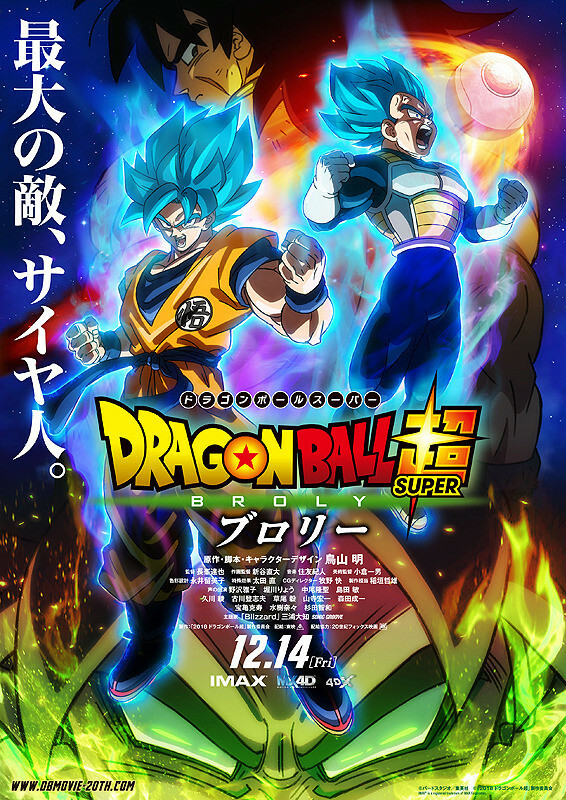 Dragon Ball Super: Broly was the top movie in Japan the weekend it was released. It is playing locally at Southside Works, the Hollywood Theater, AMC Loews Waterfront, AMC Loews South Hills Village, and the Cinemark Theaters in McCandless, Monroeville, Pittsburgh Mills, and Robinson, but will only be available at South Hills Village from the 27th. Tickets are available online.